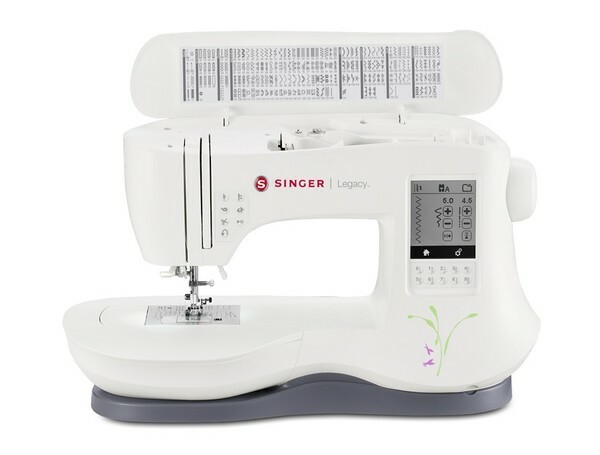 Introducing the SINGER® LEGACY™ C440 sewing machine - loaded with great features, while still easy to use! There are 200 built-in stitch patterns including satin stitches, stretch stitches, decorative stitches, quilting & heirloom stitches. Your selected stitch displays on the large LCD Touch Screen. You can mirror image, as well as adjust stitch length, width and density, providing even more creative options. Also included are alpha-numeric stitch patterns, which can even be used in combination with decorative stitches to create unique stitch sequences, then saved in one of the machine’s built-in memories. 3 STAYBRIGHT™ LED Lights illuminate the sewing area. The Top Drop-in Bobbin is not only easy to use, it has a clear cover so you can monitor your thread supply while sewing. Sew up to 800 stitches per minute or set the maximum sewing speed you want with the Speed Control feature. An Extra-Large Sewing Space makes it easy to sew quilts and other larger projects. Drop Feed allows you to lower feed teeth for free-motion sewing like stipple quilting, free-motion monogramming and more. Trim threads with a touch, using the conveniently located Thread Cutter Button. The right stitch for any project! Basic Stitches, Stretch Stitches, Decorative Stitches, Satin Stitches, Elongation Stitches, Quilting Stitches, Heirloom Stitches and a variety of Buttonhole styles. Most basic stitch patterns are selected with a simple touch of a button. Personalize projects with built-in lettering. You can even combine lettering and decorative stitches to create custom stitch sequences. Your selected stitch is displayed on the LCD screen. Stitch adjustments can be viewed on screen while you make them, so you can preview your edits before you sew. Screen brightness can be adjusted as desired. Buttonholes are sewn in one easy step. Place your button in the foot, and the machine sews a buttonhole perfectly sized for your button. The Underplate holds your fabric securely in place. Consistent results every time! A wide selection of buttonhole styles from which to choose: Bartack, Keyhole, Round End, Decorative, Stretch and more. Conveniently located, press this button to cut the top and bobbin threads - a great time saver. Operate the machine easily without the foot control, if desired. Sew at your own speed! 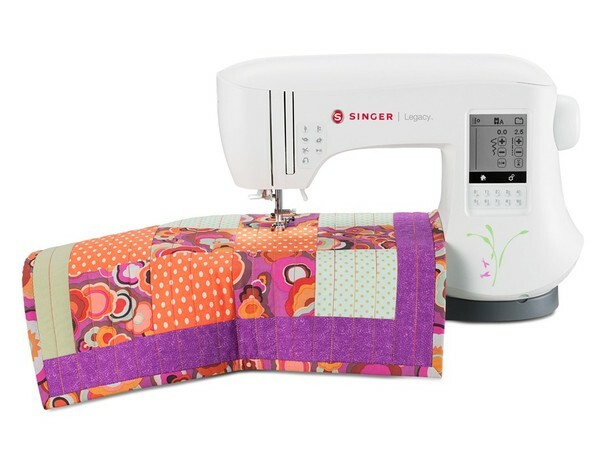 Set it to sew slower for more detailed work or faster for long seams or free-motion sewing. Maximum sewing speed is 800 stitches per minute. See your sewing and embroidery area more clearly. Set the machine to have the needle stop in either the up or down position. A must-have for applique, quilting, topstitching and more. Customize your selected stitch pattern via the LCD touch screen. Easily thread the eye of the needle. Stitch patterns can be mirrored side to side or top to bottom. Wide needle-to-tower area makes it easier to manage larger projects. Work area measures 7 7/8 inches (200mm). Easily insert the bobbin and monitor your thread supply while sewing. 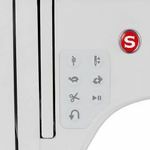 Select the size of twin needle you want to use from the Settings Menu on the LCD screen, and the machine will automatically adjust stitch width of your selected stitch for you. 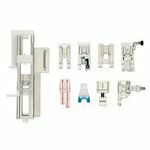 Disengage feed teeth for free-motion sewing such as stipple quilting or thread painting, as well as for button sewing. 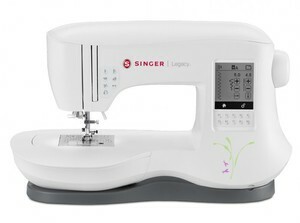 Introduction to SINGER® LEGACY™ C440 Sewing Machine - Your Machine. 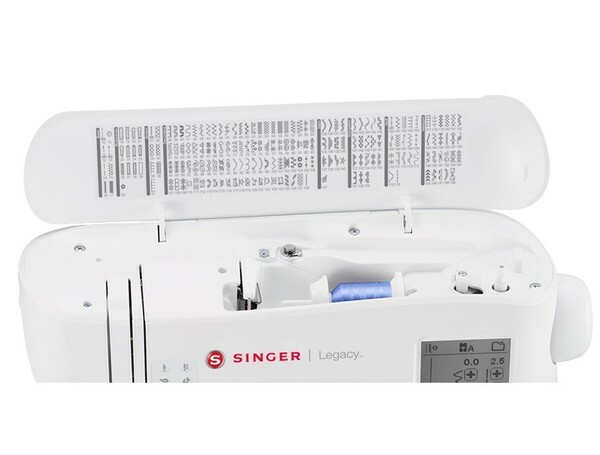 Watch a brief introduction of the new SINGER® LEGACY™ C440 sewing machine. 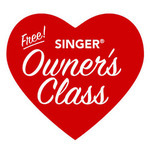 Owners Guide for SINGER® LEGACY™ C440 Sewing Machine - Your Machine. 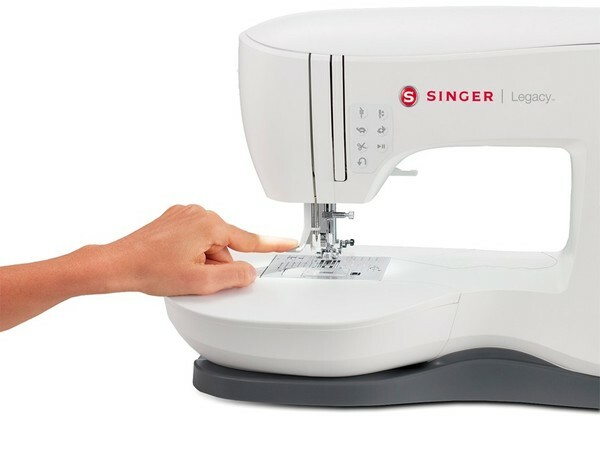 Watch a brief introduction of the new SINGER® LEGACY™ C440 sewing machine. Flip UP Top for Stitch Display and Threading. 200 BUILT-IN STITCHES/ The right stitch: easier sewing with better results. 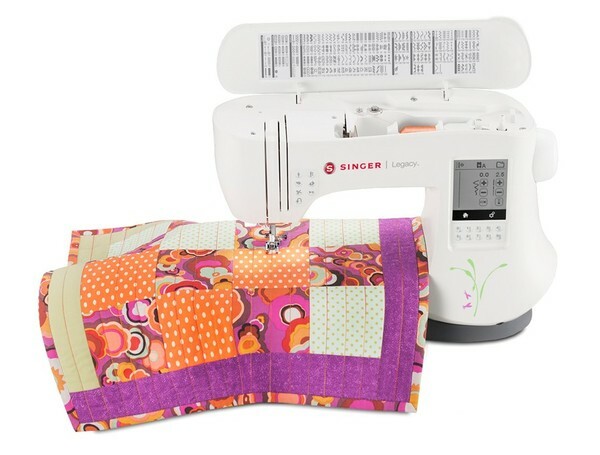 Singer is Sewing and Quilting! EXTRA LARGE SEWING SPACE. Wider needle-to-tower area makes it easier to manage projects. Plenty of Quilting Stitches to choose from. AUTOMATIC FEATURES. 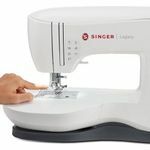 Adjust sewing speed, program needle up/down, automatically tie off a line of stitching, and cut your thread all with the touch of a button. 3 STAYBRIGHT LED LIGHTS See your sewing and embroidery area more clearly. 9 SNAP-ON PRESSER FEET. A foot for almost any project is included! Change from one foot to another effortlessly. AUTOMATIC NEEDLE THREADER Sewing’s biggest timesaver!